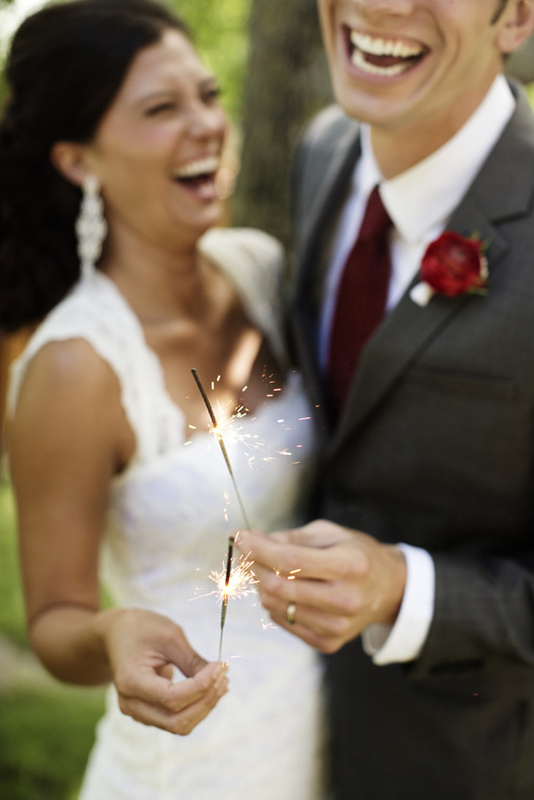 We know for a fact that it is not totally crazy to get married on the fourth of July. 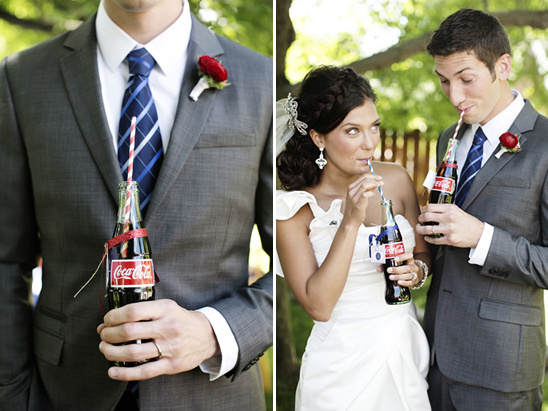 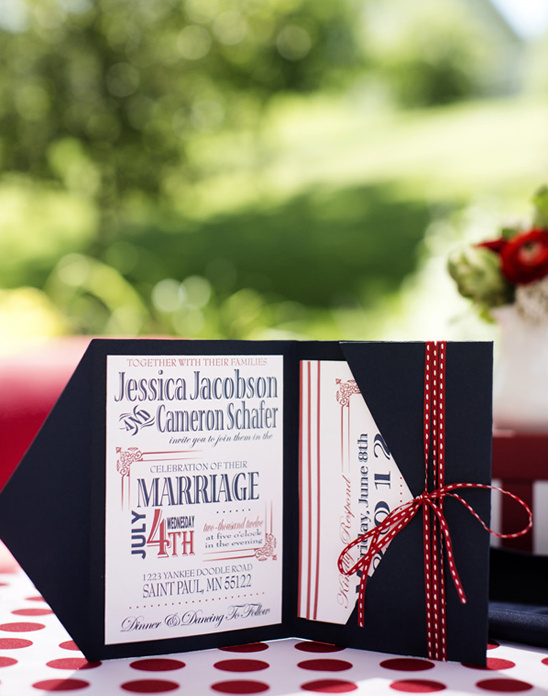 Remember Sarah and Christian’s real Fourth Of July Summer Wedding? 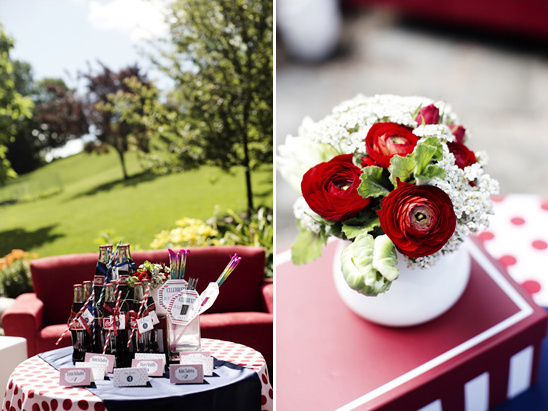 It was filled to the brim details and decor just like our inspirational shoot today from The Bliss Life. 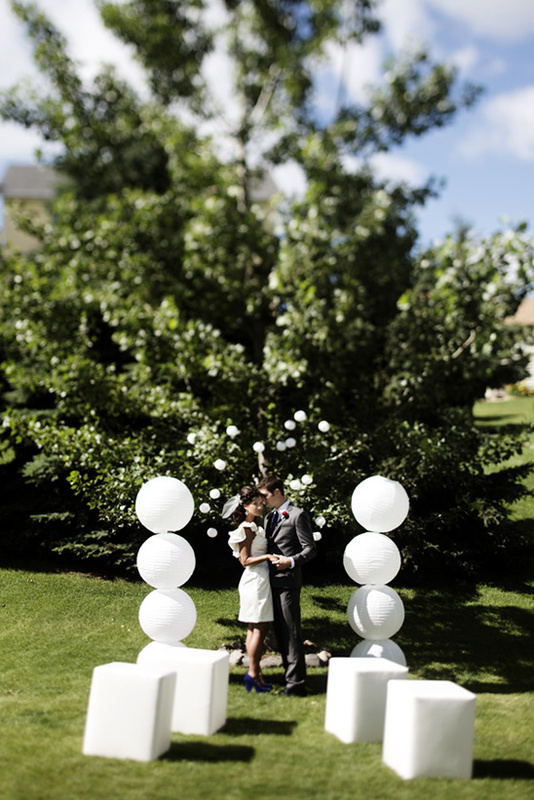 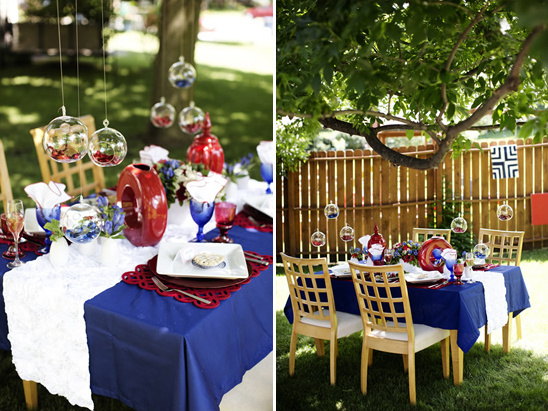 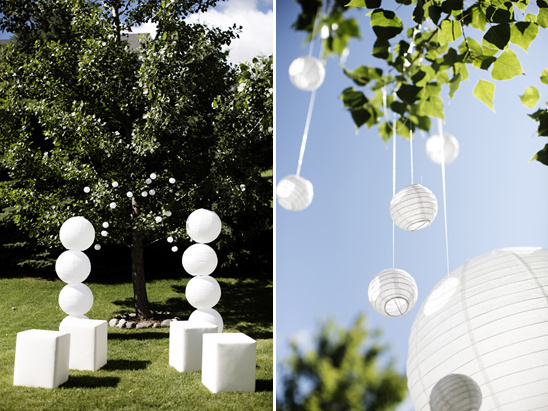 Today's inspiration showcases some fun, yet simple ideas to incorporate the holiday while still creating an elegant backyard wedding. 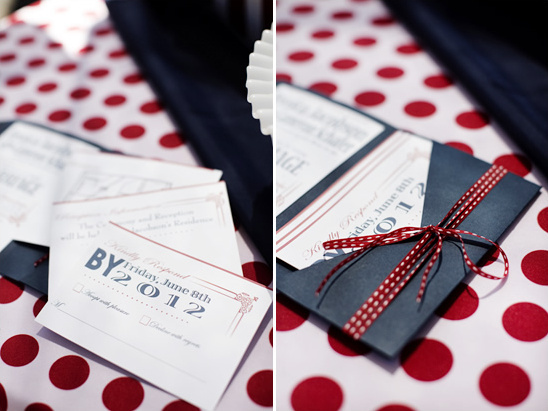 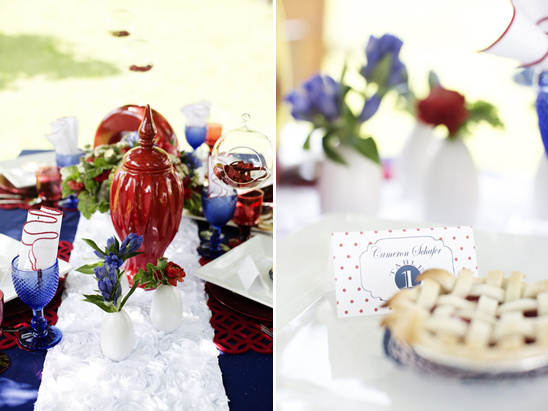 The Bliss Life wanted to make red, white and blue chic and modern by focusing on clean lines and simple patterns. 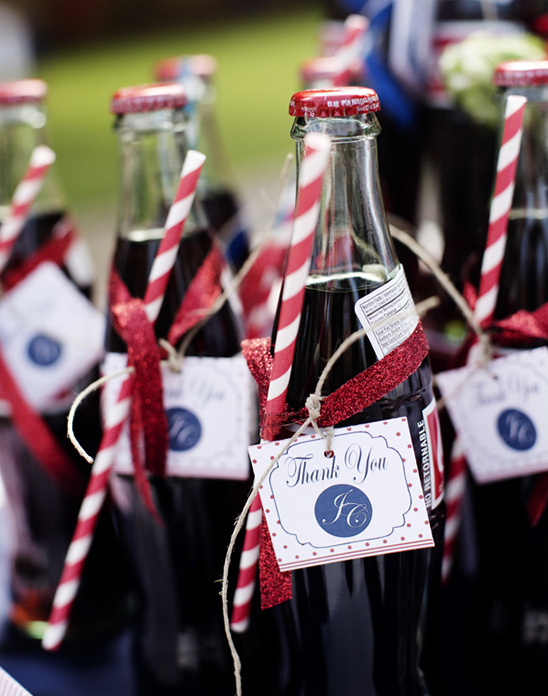 Mixing in all Americana details such as miniature cherry pies for dessert, glass bottled coca-colas as favors, and cake push-pops as a great option for late night snack. 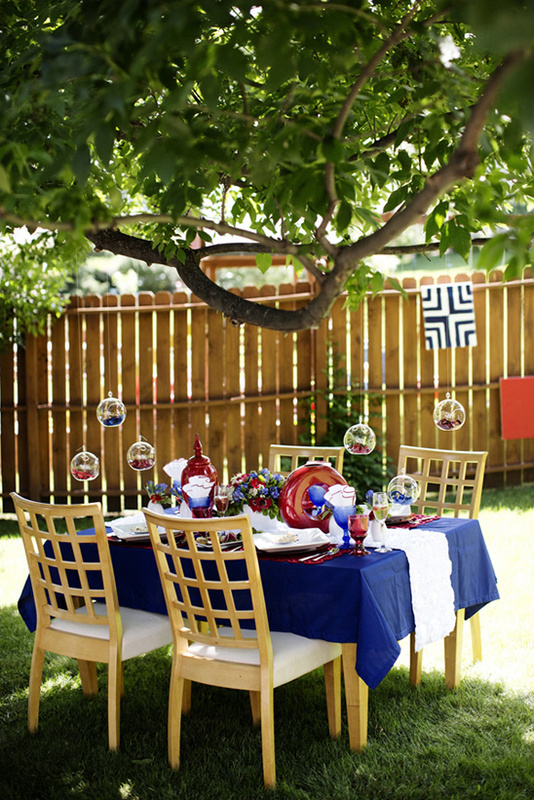 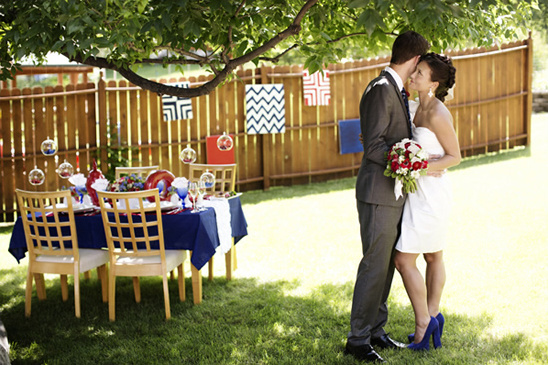 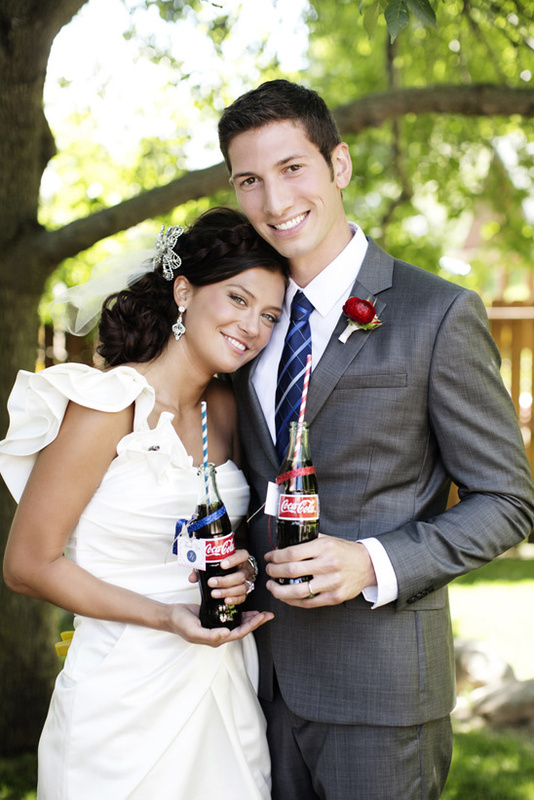 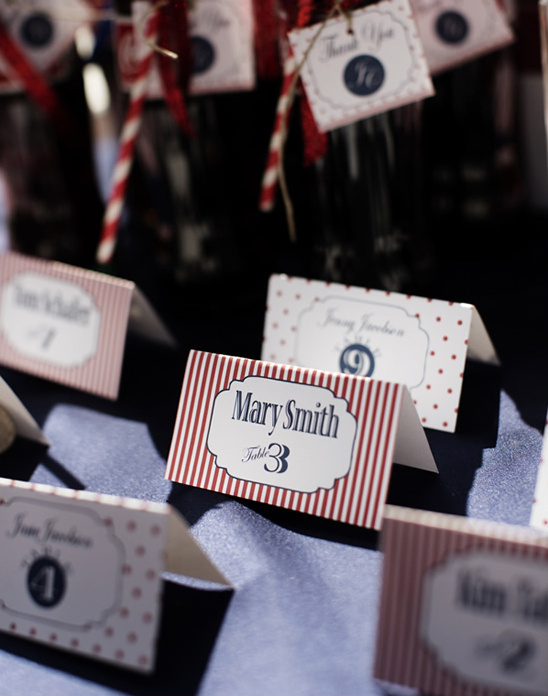 See more Americana Backyard Wedding Ideas in the full gallery. 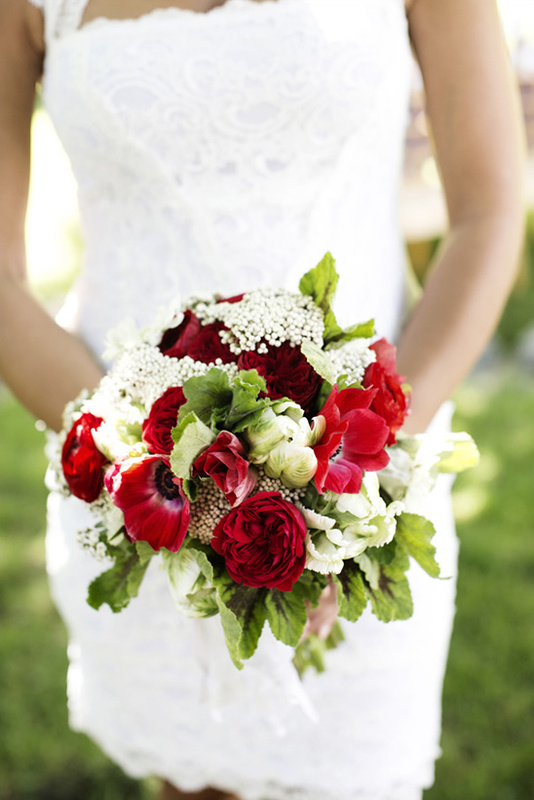 All beautifully captured by Photogen Inc.